For pet owners everywhere in Connecticut, the name “Pieper” has been synonymous with high-quality veterinary care ever since the 1930s. Open 24 hours a day, every day, Pieper Veterinary’s emergency and specialty hospitals in Middletown and Madison provide life-saving support and care for when you and your family need it most. Just like a human hospital, Pieper’s facilities are equipped for emergency and critical care, diagnostic imaging, internal medicine, neurology, surgery, oncology, and physical therapy. Dedicated to treating your family as they would their own, Pieper’s specialty doctors work together with pet owners to allow them to explore every option for keeping their pet healthy. Last winter, Pieper opened their second emergency and specialty hospital located in Madison, where they are equipped for emergencies and urgent care visits any time of day. In addition, they offer specialty consults with orthopedic and soft tissue surgeons experienced in repairing broken bones, removing masses, correcting deformities, utilizing minimally invasive technology, and treating countless other ailments. Their board-certified neurosurgeons are experts in seizures, spinal cord diseases, and disorders of the muscles, nerves, and brain. Pieper’s oncologists are on hand to develop personalized chemotherapy treatment plans to help minimize side effects and increase quality of life. For pets with complex disorders, the internal medicine specialists can diagnose and treat them with a custom plan of action for your individual pet. With these options now available to pets on the shoreline, owners can be assured that Pieper will be available to help no matter the circumstance. As the medical field continues to rapidly evolve, Pieper Veterinary has worked diligently to ensure its hospitals are equipped with the latest technology. Recent additions to their main Middletown hospital include a long-term ventilator and intensive care oxygen cages for patients with breathing complications, and a new hospital-wide telemetry system that enables doctors to continuously monitor every patient’s vitals on one screen. Pieper also has an MRI and newly upgraded CT Scan machine on-site, which can provide advanced diagnostic imaging in only 30-45 seconds, usually requiring only minimal sedation for the patient. Their Madison emergency room offers seamless communication and transportation to their Middletown hospital to give your pet full access to all their diagnostic and treatment options when necessary. 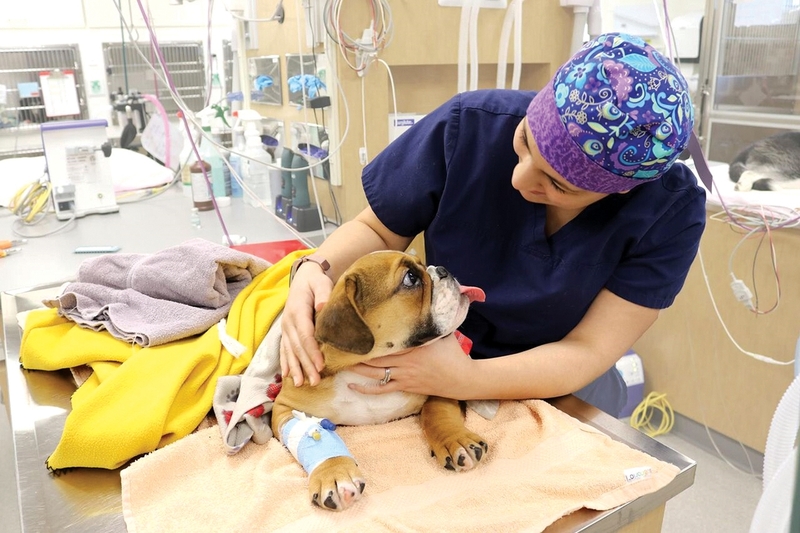 With the extensive capabilities and highly-trained staff at Pieper Veterinary it stands as one of the largest emergency and specialty practices in the state, offering their signature patient-focused care to central Connecticut as well as along the shoreline. Always veterinarian-owned and operated, their focus is on creating a compassionate environment for both owners and their pets. They strive to uphold the legacy that Dr. Pieper created, forged in the values of client communication and compassionate care for all pets. Trusting this standard is always in place is how you know that you and your pets, too, are part of the Pieper family. For more information, visit piepermemorial.com.